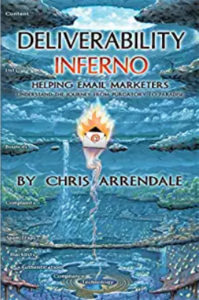 It has been over a decade since CAN-SPAM became the defacto North America email marketing law, which seems like a lifetime ago, and barely three months for CASL and it seems that the never ending stream of people saying “don’t use the unsubscribe link” still seems to march on. To compare and test this theory the Online Trust Alliance (OTA) has started reviewing large commercial senders to verify that they are taking the needed steps to properly allow email recipients to stop further communications of types of communications. Consumers understand that subscribing to an email program offered by their favourite retailers or news sites will have unsubscribes that work and actually stop the emails that they once wished to receive. 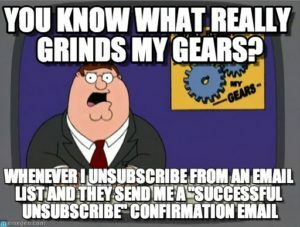 However I would agree that the unsubscribes in Phishing emails, Pill spam and other clearly unwanted emails be safely ignored… For the most part consumers only see a small fraction of these messages anyway as ISPs have become very adept at blocking most of this mail before it makes it past the router, but a percentage of these make it through to the end user. Yes, even past spam filters into the inbox. The OTA tested ten different aspects of email messages and the unsubscribe landing pages including; font size used for the unsubscribe statement, ease of use, preference centers vs unsub only, and time to execute the unsubscribe. Ranking 200 companies 70% of these companies complied with 8 of 10 tests, 10% complied with all 10 tests and 10% failed to honour the unsubscribe within 10 days. This is mildly surprising as the requirement to offer and unsubscribe is part of every ESPs contract and required behaviour for their clients as well as a long standing legal requirement in privacy, consumer protection and digital marketing laws around the world. This study shows that most large brands are taking the steps needed to properly allow email recipients the options of controlling their email subscriptions. 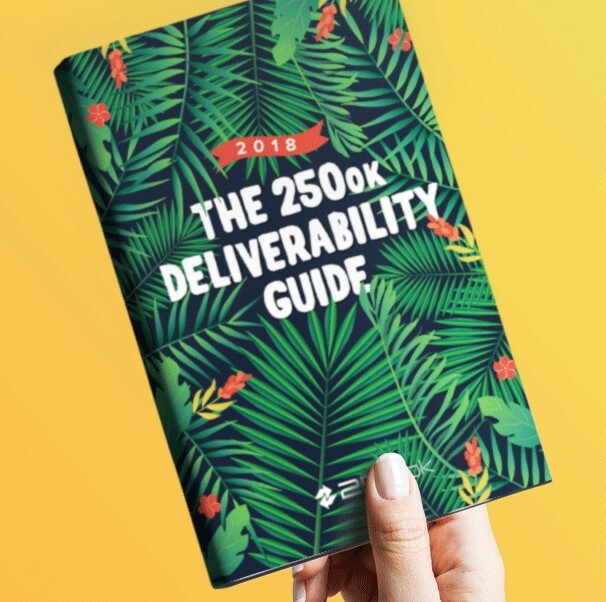 The biggest miss by brands that I take away from this report is the lack of opt-out surveys being used by email marketers, leaving a valuable tool for direct feedback from users that are obviously unhappy or no longer interested in your communications. Read the full report here and see if your brand made the grade or if you’re in that bottom 10%.